Alcoholics Anonymous (AA) got its start in an unexpected way. In 1935, Bill W., the future co-founder of AA, was battling alcoholism and feeling drawn to a bar while on a business-related trip in Akron, Ohio. By this point, Bill W. had been sober for five months, and he felt the best way to avoid a relapse in Akron was to speak with another alcoholic. Bill W. ended up meeting Dr. Bob, a local surgeon and fellow alcoholic. Shortly after the meeting, Dr. Bob became sober. The positive impact Bill W. had on Dr. Bob and vice versa was evident to both of them. They believed they could help other alcoholics as well and began to meet with alcoholics one at a time, and then in groups. Both founders believed in a spiritually focused rehab process centered on surrendering their illness to God for healing. By 1939, AA’s textbook, Alcoholics Anonymous (also known as The Big Book), was published. AA’s popularity grew through its members’ work with alcoholics. By 1941, there were reportedly 6,000 AA members, and the membership number continued to climb over the years. By 1973, more than 1 million copies of The Big Book had been distributed. According to AA’s General Service Office, as of 2014, there were an estimated 1,296,037 members and 59,565 groups in the U.S.
Today, the 12 steps seem almost synonymous with AA. For this reason, it may come as a surprise that the 12 steps were not included in the original Big Book. In 1953, AA published Twelve Steps and Twelve Traditions. The book’s forward clearly explains the difference between the published 12 Steps and the 12 Traditions. The 12 Steps are faith-based principles that AA believes and espouses to members. If these steps are followed, AA believes an alcoholic can attain and maintain sobriety for life. The 12 Traditions apply to the AA fellowship itself and set forth guidance on how to maintain unity in the organization, the proper ways to promote the AA mission to the outside world, and insights on how AA can continue to grow and develop. The 12 Traditions are not only of interest to AA members, but students and researchers of human relations. AA has a longstanding reputation as an organization with no centralized power, which is a major achievement in egalitarianism. 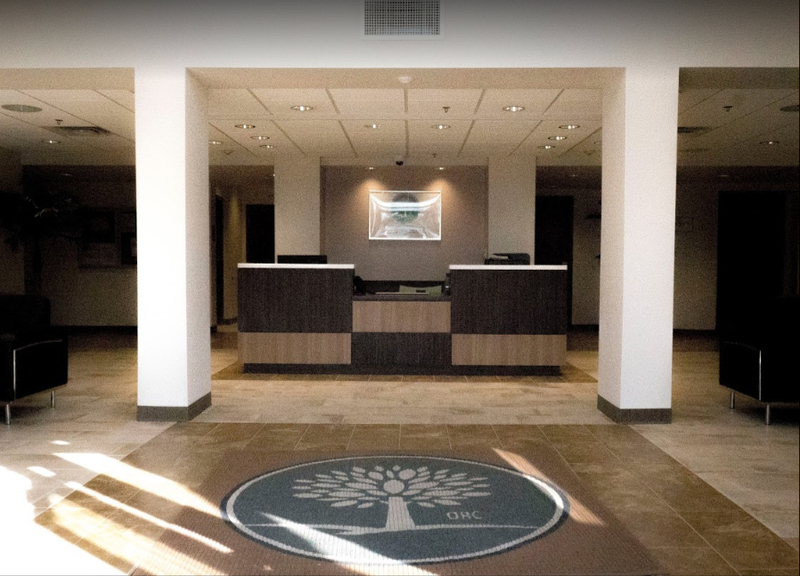 The 12 Traditions have proven effective at maintaining the success of the organization as well as providing an organizational model for other recovery groups, such as Narcotics Anonymous. The 12 Traditions of AA and NA follow. The text has been altered to reflect any changes to the language that NA has made to reflect its focus on drugs other than alcohol. Our common welfare should come first; personal recovery depends on AA (or NA) unity.This tradition makes clear that the survival of the fellowship is critical. AA/NA plainly explains that this focus does not detract from the help provided to individual members. The founding members understood that alcoholism would long exist, and for this reason, a fellowship aimed at helping those who suffer from this illness will always be necessary.AA/NA believes that members who have suffered from alcoholism and benefit from the program will want the fellowship to continue and advance. The success of the fellowship is a collective goal. Making the unity of the fellowship a main goal is a way to ensure its future availability to those who need it most. For our group purpose there is but one ultimate authority – a loving God as He may express Himself in our group conscience. Our leaders are but trusted servants; they do not govern.From its inception, AA (and then NA), had a God-centered approach. For the fellowship, spirituality is the latent engine of change in all of us, and it is believed to have the power to bring about a personal transformation. The fellowship essentially runs on faith in God, as expressed in each member; in AA/NA there is no president, board of directors, or treasurer.AA explains how running a fellowship on faith works. A person with some recovery time under his belt shares the AA/NA message with individuals who are still drinking/abusing. At first, these people are student-like, but with increasing sober time, they become AA/NA messengers. The group can continue in perpetuity in this way and without any one individual becoming dominant over others or power being centralized in one place. In AA/NA, the focus is on helping others, not gaining supremacy over them as in other organizations. The only requirement for AA (or NA) membership is a desire to stop drinking (or using in NA). The key term in this tradition is “desire.” AA/NA is nonjudgmental to the extent that a participating person only needs to say she wants to recover; she need not offer any proof. This sentiment supports the philosophy of AA/NA being a self-directed process; a person is her own master and determines the course of her recovery from the moment she says it begins. AA describes how early in its development there were efforts to protect the fellowship and disallow membership of certain persons who were considered too troubled to help. But by the time of the writing of Twelve Steps and Twelve Traditions, the fellowship had grown into a position of exceeding tolerance, opening its groups to anyone who needed them. Part of the reason for this shift is due to the fellowship seeing itself as being a lifesaver for alcoholics/drug users. AA provides a story to illuminate this principle. Earlier in the fellowship’s history, a member named Ed sought to join an AA group. Eventually, he denounced the God-centeredness of the program, but he was allowed to stay because, in accordance with Tradition Three, he had a desire to stop drinking. Ed left the fellowship and hit very hard times, but he found God when he began reading Gideon’s Bible in a motel room. He rejoined AA and thereafter sobered up, and he maintained an alcohol-free life for the rest of his life. The fellowship saw this transformation as evidence that letting Ed in, even after he challenged AA principles, ultimately contributed to the sober turnaround in his life. Each group should be autonomous except in matters affecting other groups or AA (or NA) as a whole. This principle demonstrates that each group is entrusted to run itself. The only time this right should be infringed upon is when the way the individual group’s operations threaten AA/NA (which is consistent with Tradition One). In AA/NA, there is no micromanagement because there are no managers nor a central authority to enforce strict rules of operation (and there are no such rules). AA explains how earlier in its development the nuances of how to physically organize meetings was unknown. Then, it dawned on members – there is no exact way to bring everyone together, it needs to just happen. The fellowship opted to have faith in the individual groups and just ask that they do nothing to threaten or damage AA overall. This approach is consistent with AA in general – just have faith and proceed accordingly. Today, anyone who joins an AA or NA group should expect this courtesy from the fellowship. Each group has but one purpose – to carry its message to the alcoholic (addict in NA) who still suffers. This tradition has helped to streamline the mission of the organization. AA/NA believes it is better to do one thing well, such as help suffering substance abusers, than to do many things at a mediocre or subpar level of performance. AA/NA is clear – it does one thing, which is to help substance abusers and it’s been doing this for over 70 years. According to AA, having one purpose alone is actually inescapable; the AA experience is paradoxical in that a member only really achieves sobriety by giving the message of sobriety. Reciprocity is not only a core tenet of this fellowship but a central mechanism in its operation. If the fellowship were to add different functions to its mission, AA would likely not work as well. An AA (or NA) group ought never endorse, finance, or lend the AA (or NA) name to any related facility or outside enterprise, lest problems of money, property, and prestige divert us from our primary purpose. It is clear to see where, in part, this tradition came from. A profit motive or outside donation gathering would undermine the purity of the fellowship’s mission. As discussed in the foregoing traditions, AA/NA is adamant about being autonomous and positing its operations in God’s hands. AA/NA is led by providence. As a testament to the sincerity of this organization, it is important to note that AA’s success could easily have been leveraged into a private business. The fellowship specifically eschewed the path of profit to keep focused on its mission to help anyone suffering from alcoholism. To that end, the fellowship does not associate with any other organization, nor does it even allow its name to be used to endorse educational or business enterprises. Every AA (or NA) group ought to be fully self-supporting, declining outside contributions. This tradition, at its root, recognizes that money has the power to taint the mission of the fellowship. To paraphrase the fellowship’s sentiment – the person who drops a coin in a jukebox picks the song. Alcoholics, because of the difficult circumstances this illness presents, are vulnerable to being in financial straits. Receiving donations or outside funding and support could threaten to enable alcoholism, rather than heal it. As AA discusses, the fellowship was without adequate means to sustain itself but many outside donors wanted to make contributions. Ultimately, AA declined all outside financial support, even testamentary gifts from will. A real triumph of the fellowship is that being self-funded teaches self-sufficiency and avoids negative enablement. It’s a double win. AA (or NA) should remain forever nonprofessional, but our service centers may employ special workers. AA/NA is firm that it believes money and spirituality do not mix. Step Twelve of AA relates to when a person feels he has attained spiritual awareness and then is encouraged to take the AA message to others. The issue becomes, however, whether a member can receive any compensation for giving talks or making any other appearances. The decision, consistent with the fellowship’s mission, was plainly that no compensation could be received. The message must come from the bearer’s spirit, free of any profit motive. AA was adamant that it was not creating professional speakers. It was only receiving and giving the message of sobriety, which is delivered by the hand of the Higher Power alone. However, as a practical matter, AA found that it needed support staff, and such persons would require compensation. Although AA/NA may employ persons to provide administrative support to the fellowship, such persons are not to profit from the fellowship’s work with alcohol abusers and alcoholics. According to AA, these administrative jobs do not amount to professionalizing the fellowship. AA (or NA) as such ought never be organized, but we may create service boards or committees directly responsible to those they serve. According to AA, Tradition Nine is more evidence of the uniqueness of the fellowship’s organizational structure. The fellowship is not bound by legal principles or codes but rather spirituality. AA/NA is spiritually organized. AA can be considered to be a trailblazer in this regard; rather than assume a traditional organizational matter, it built its organizational structure around its philosophy. AA (or NA) has no opinion on outside issues; hence the AA (or NA) name ought never be drawn into public controversy. All of the traditions echo through one another. This tradition continues the theme of autonomy and privacy that runs throughout the fellowship. AA is aware of its positive reputation but does not lend its name to any cause or enter political or social debates of any kind. In accordance with Tradition Five, the fellowship is entirely dedicated to helping alcohol abusers and alcoholics. Weighing in on societal issues is simply not within the mission of the fellowship. This principle formally states that AA/NA’s public relations policy is based on attracting alcohol abusers who need help and not affirmatively soliciting them. To achieve this end, AA was clear that it would not promote its individual members but rather its principles. Ultimately, the fellowship received news coverage and was held up as a beacon of hope for alcoholics. The fellowship’s insistence on personal anonymity worked in its favor as the media and people interested in AA’s work were organically drawn in. AA was able to spread information on its mission without compromising its core tenets. For instance, the media, in respectful observance of AA’s request for the anonymity of its members, did not print individual names or include personal photos in its coverage. For AA, its public relations policy proved a success. As AA explains, participating in the fellowship implies personal sacrifice in the interest of the greater good of the fellowship. This tradition recognizes the tremendous scope of alcoholism and the critical role the fellowship plays in helping alcoholics, in general, to recover. AA believes this greater goal would be vulnerable to abuse if individual members were used to promote or advance the fellowship. AA has never wanted the public to identify with a person as much as the fellowship’s principles, including its unwavering faith in the power of God. For the fellowship, anonymity equates to humility, which is an ideal position for healing the illness of alcoholism. In this way, anonymity is effectively a sentinel guarding the hard fought and lasting principles of AA/NA. Now the question is: Does AA/NA really work? In the field of addiction treatment, it is often difficult to measure success because recovery is usually not a black-and-white process; for instance, a person may maintain sobriety for years, then relapse and gain sobriety again. The study did not reflect the length of AA meeting attendance and, for this reason, does not illuminate how other forms of treatment (or even non-treatment) may have contributed to these statistics. However, a separate study found that going to AA meetings may be more helpful than cognitive behavioral therapy. In 2007, the National Council on Alcoholism found that recovering individuals in 12-step treatment programs appreciated a 49.5 percent rate of sobriety after one year compared to 37 percent who received CBT. The success of AA/NA is hard to quantify, in part, because it is essentially a support network and does not occur in a clinical setting that lends itself easily to outside evaluation. There is, however, a general consensus in the addiction treatment community that 12-step meetings (or group recovery meetings with a secular focus) are an essential part of the recovery process. In addition, recovery may involve a patchwork of services. It is particularly difficult, from a research standpoint, to evaluate combined therapies, especially because no two individuals in long-term recovery follow the exact same plan. Although there may not be decisive findings on the effectiveness of AA and NA programs, the longevity of these fellowships and membership into the millions suggest it works for many. Today, the 12-step program is deeply entrenched in the addiction treatment landscape, and there appears to be no changes on the horizon that would uproot its strong foothold. 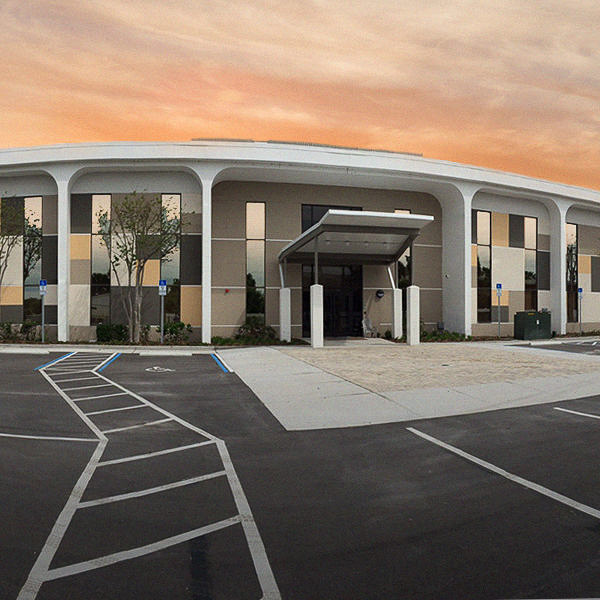 At Orlando Recovery Center, the 12-step model is an integral part of our rehab services. There are several group recovery meetings each day in various locations, including our lakeside clubhouse. We understand the important role that 12-step meetings play during and after recovery. Getting our clients started with 12-step meetings during outpatient or aftercare treatment helps to ensure the practice of going to meetings will continue after rehab.